At Baselworld 2013 De Bethune will unveil the DB25 LT Tourbillon, a hand wind tourbillon with the brand’s patented spherical moon phase. 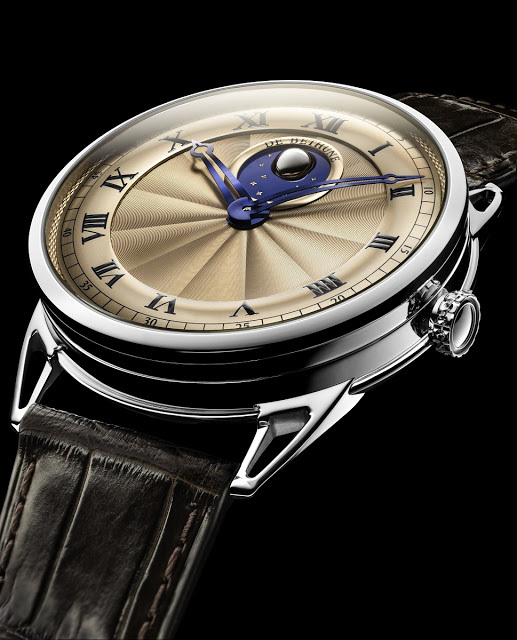 The De Bethune DB25 LT Tourbillon has a simple front – a rose gold guilloche dial with De Bethune’s spherical moon phase at 12 o’clock which is made of blued steel and palladium. And the 44 mm case is in platinum with the brand’s signature skeleton lugs. Turn it over and the high-beat tourbillon is visible. Running at 36,000 bph, the tourbillon, which has a silicon cage and balance, is the fastest beat tourbillon today. 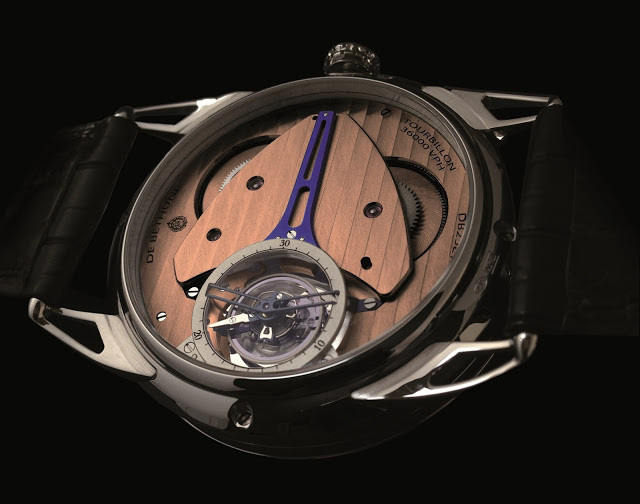 The bridges and base plate also have a rose gold finish, an unusual movement treatment and a first for De Bethune.